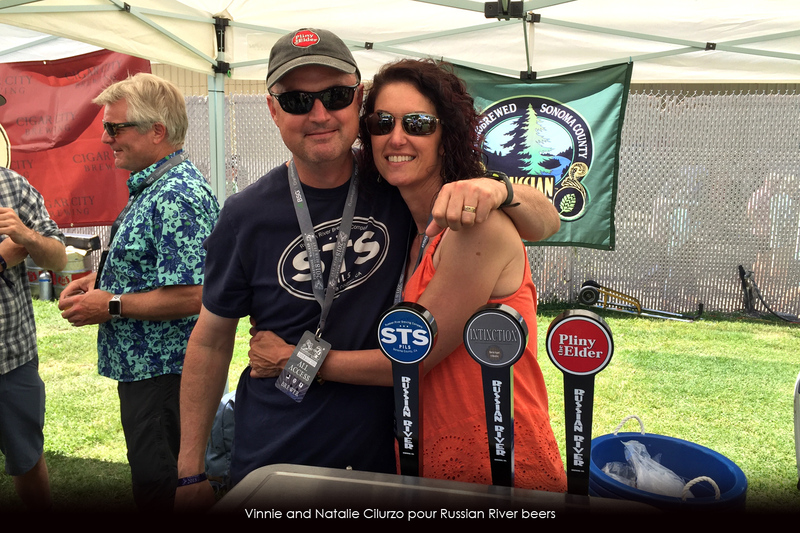 The annual Firestone Walker Invitational Beer Festival was held on Saturday, June 3, 2018 at the fairgrounds in Paso Robles, California. 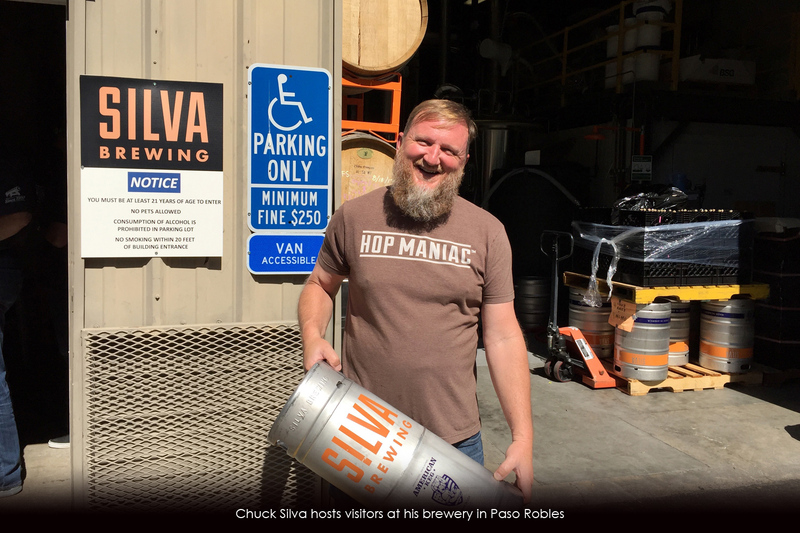 Not only is it the premier beer event on California’s central coast, it has become one of the top such gatherings of craft brewers in the country if not the world. 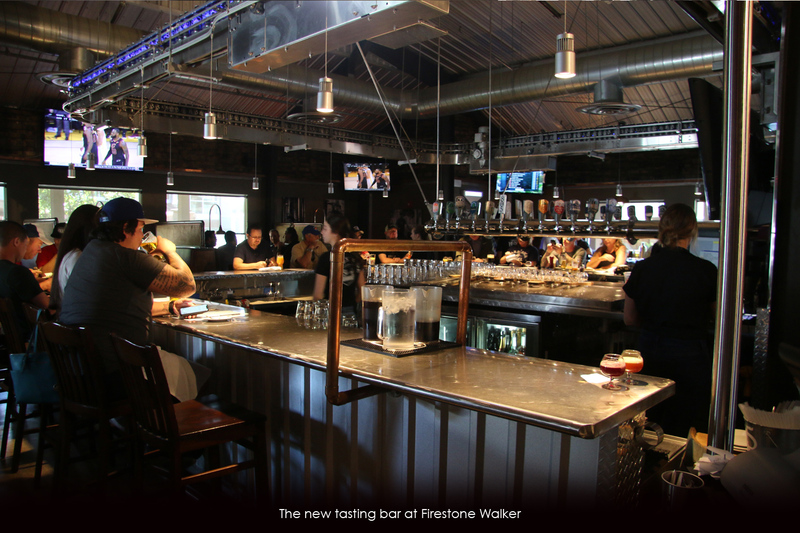 The attraction, besides warm sunny days and the proximity to coastal beaches and lakes, is the masterfully curated collection of breweries pouring their most sought-after beers. 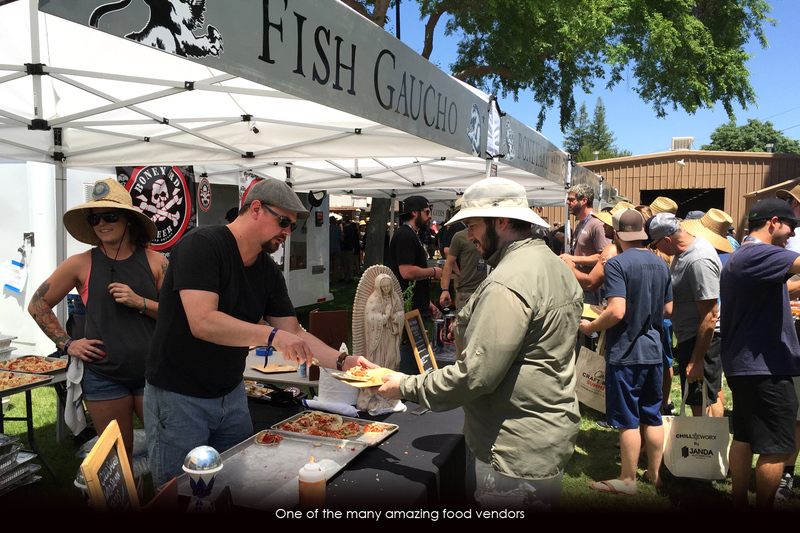 This year’s selection was mind-bogglingly compelling with California brewing treasures including Alvarado, Bagby, Beachwood, Faction, Lost Abbey, Russian River, Sante Adairius, The Bruery and more. 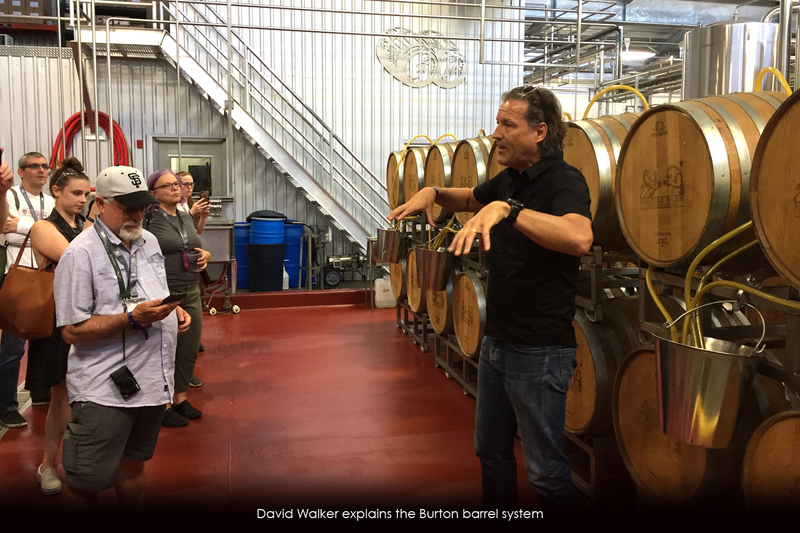 Other notable breweries from around the country were 3 Floyds, Allagash, Arizona Wilderness, Boulevard, Cigar City, Crooked Stave, Crux, Gigantic, Jester King, Melvin, Surly and many others. Then consider the stellar line up of international brewing stars like Beavertown, Birrificio Del Ducanto, Garage Project, Liefmans, Mahrs Brau, Mikkeller and many more. Stunning does not begin to cover the embarrassment of beery riches to be had at the Invitational. Naturally, the competition and politicking involved in being chosen is intense and continues throughout the year. 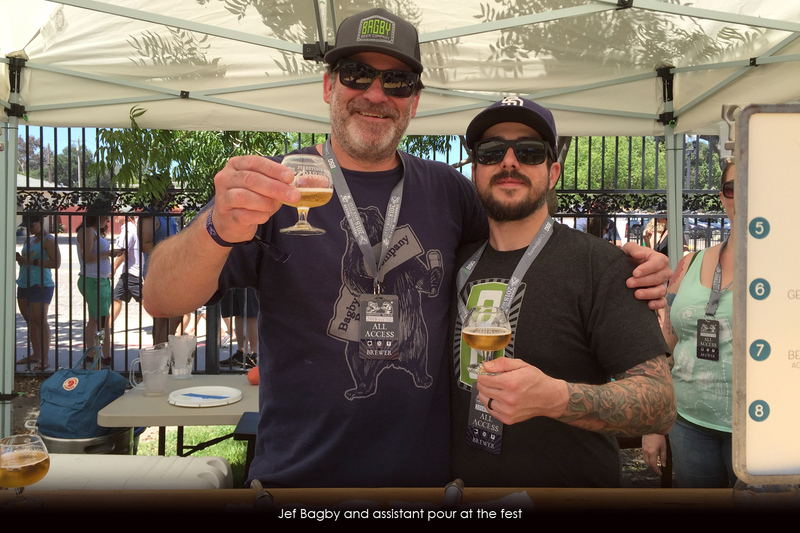 The result is a gathering of brewing stars that has rendered this event a “must attend” for serious beer geeks everywhere. The ticket sales go quickly and media credentials are tightly regulated. Brewers and some media camp out at the fairgrounds site and the party starts immediately upon arrival with spontaneous bottle shares quite common. A separate concert was held for the campers the Friday night before the fest the following day. 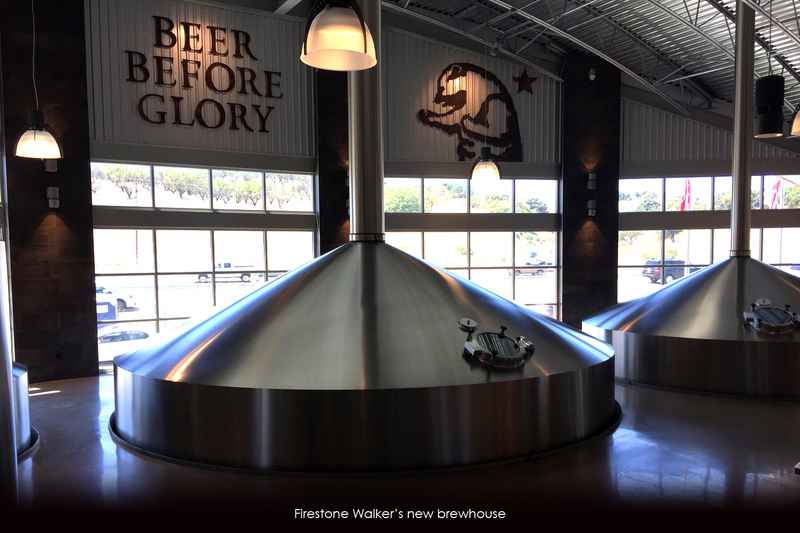 David Walker personally conducted a tour of the rapidly expanding Firestone Walker brewery campus for visiting media. Hospitality was the key word for all aspects of this well-managed and expertly run event. 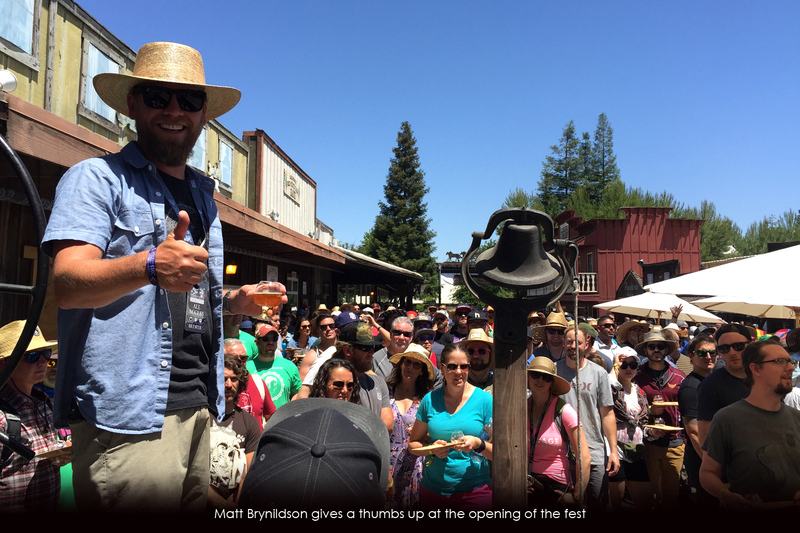 Firestone Walker brewmaster Matt Brynildson was at the gate for the official opening and gave the “thumps up” to open the festival to the eagerly awaiting crowd. 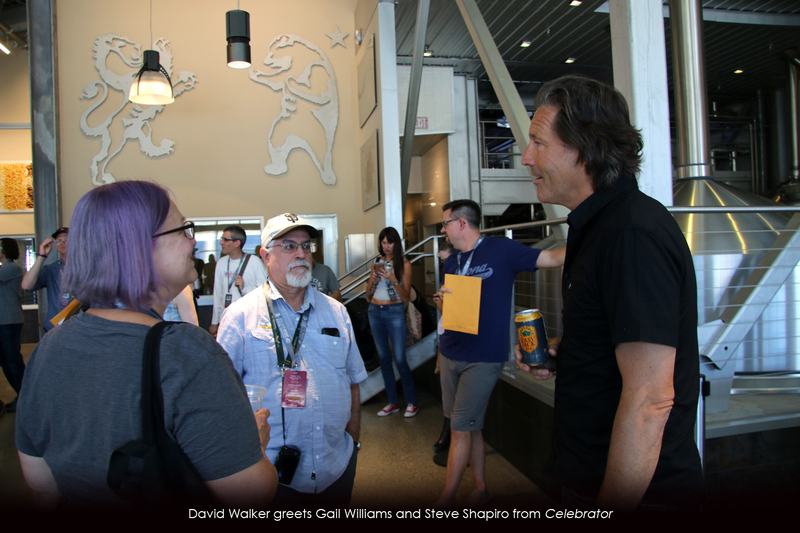 Patty Firestone Walker then rang the bell signaling the traditional opening of the festivities and the patiently awaiting crowd surged forward filling the festival grounds and seeking out the “prized” breweries where enthusiastic lines began to form. Most of the attendees used the handy guide to locate their most sought after beers to sample and started queuing early. 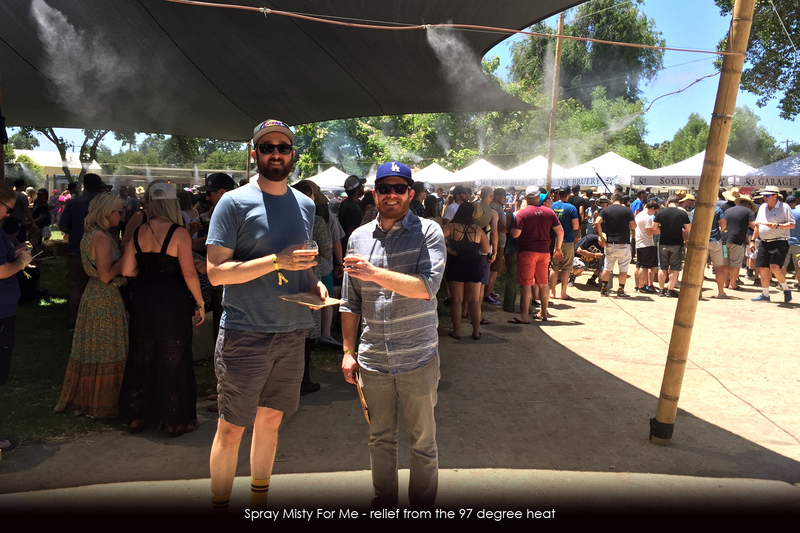 Misting tents provided relief from the heat of the day that reached 97 degrees, not untypical for Paso Robles in June. 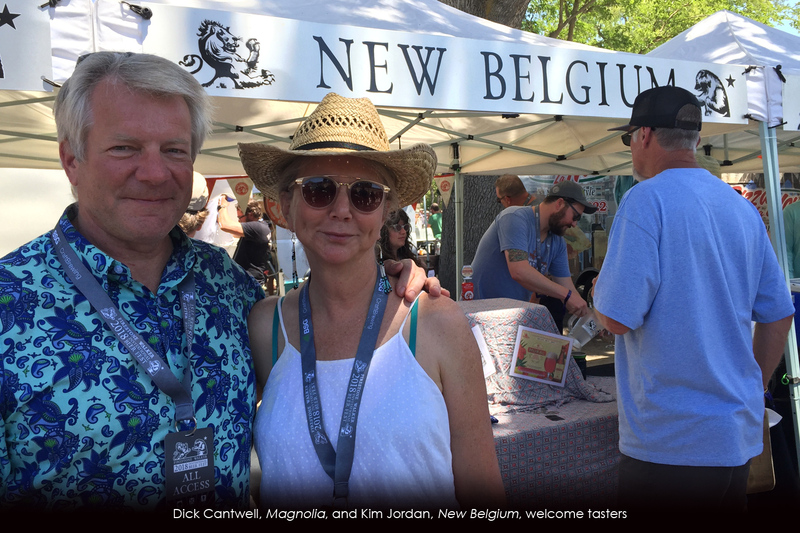 No doubt because of the difficulty in getting the prized tickets for the fest, the crowd tended to be mature and thoughtful regarding tasting priorities and this reporter saw no issues with over indulgence while enjoying the amazing collection of beers on offer. Tomm Carroll, our LA correspondent, insisted I try a beer from Garage Project. 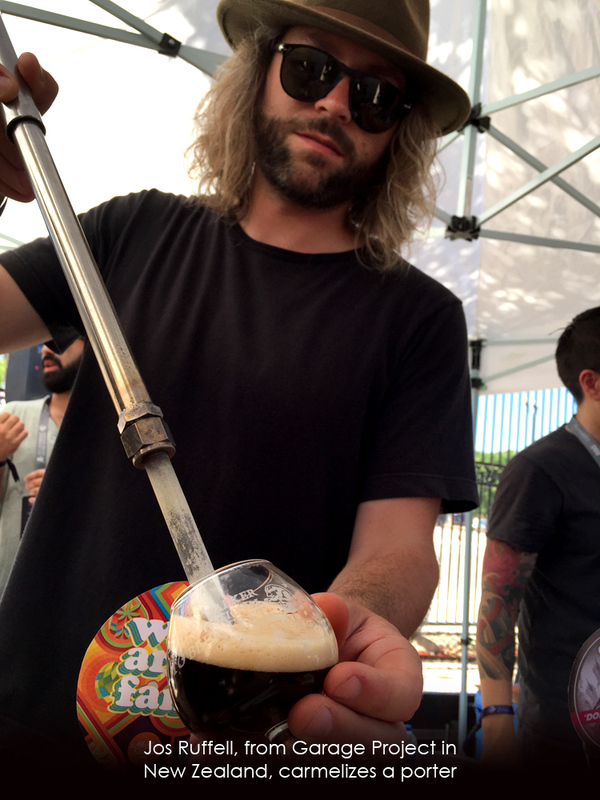 Jos Ruffell, one of the founders of Garage Project in Wellington, New Zealand, was pouring a special batch of his Cockswain’s Porter that was brewed extra strong and aged in freshly emptied oak bourbon barrels for 18 months. 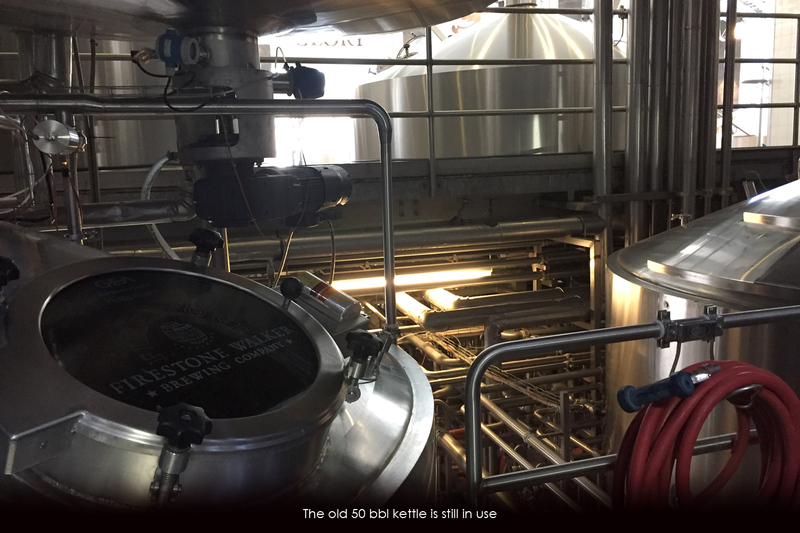 He then stick his electric metal “poker” in the glass to heat it up and basically caramelize the malt, making the glass and the beer warm, and adding caramelized flavors. He said it was like in the olden days when folks would grab a hot poker from the fireplace to stick into their tankard of beer to heat/mull/caramelize it. Only in Paso in June. Delicious! Nearly thirty restaurants and caterers offered delightful “bites” that never seemed to run out. 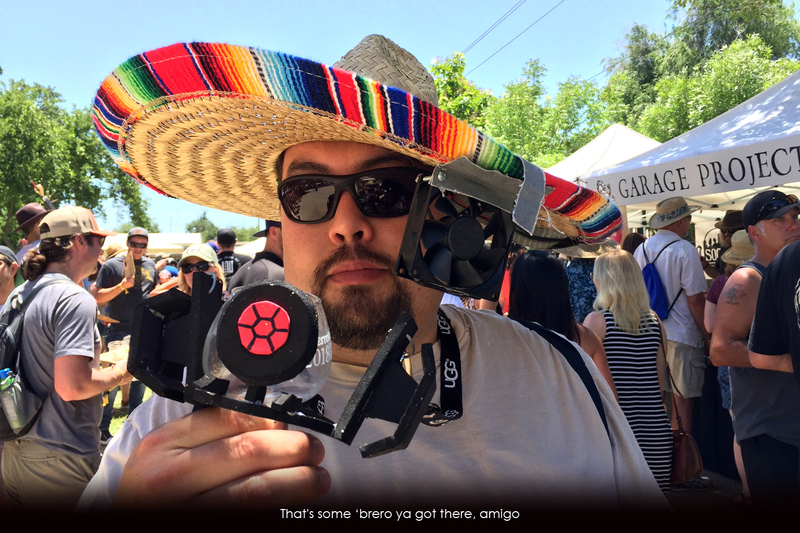 Food items included aged-beef sliders, fresh fish tacos, beer-infused gelato and much, much more. The entertainment was exceptional and continuous from several stages.